In order for couples to jointly reexamine the meanings that they give to each other’s behavior and find new ways of relating to each other, they need to share feelings, thoughts, and beliefs at a very deep level. This requires that both partners feel safe — meaning that they don’t feel judged or criticized for feeling the way they do. To create a safe environment, couples need to communicate responsibly. This means avoiding behaviors that force the other person into polarized positions. When conflicts get out of control, it is difficult to acknowledge how our own interpretations may have added to the dispute. Yet it is this kind of behavior that can move disputes beyond arguments over who is right into intimate sharing about our most important feelings. Both people must learn to recognize and avoid communication rooted in blame or judgment, concentrating instead on communicating emotions and the meanings that create them. Even when the other person’s communication seems to create conflict, you can make choices about how you respond. If you can imagine that each of you is a country, your job is to describe what’s going on in your country rather than interpreting or judging what’s going on in the other one. • Take Responsibility for Your Feelings — One of the biggest causes of fights between loved ones is blaming the other person for your feeling: “You made me feel...” As we’ve discussed, your feelings are not caused by an external event alone, but also by the meaning you give to the event. Those meanings are yours, not the other person’s. If we’re brutally honest, you made you feel whatever you feel. When you say the other person is responsible for what you feel, that person is likely to feel blamed or accused. They may become defensive and want to protect themselves. We have the beginnings of a full-on battle. • State Feelings, Not Judgments —When we are in conflicts rooted in different perceptions and different emotional realities, it is imperative that we communicate feelings, not judgments. Acknowledging our feelings — feeling hurt, rejected, or angry — is essential to understanding our emotional realities. But expressing judgments — saying that our partner is being unkind, unfair, or cruel — gets in the way. It makes it almost impossible to turn the search for understanding into an exciting joint venture. Instead, both people feel accused, put down, and angry. • Connect Your Feelings to a Description of the Behavior or Circumstances —It’s true that just stating a feeling is not enough. If all Alice says is “I’m embarrassed,” Jorge is not going to understand her. Some explanation is needed for why she is embarrassed. But this is a place where judgments can slip in. Efforts to communicate feelings sometimes go awry. For example, Alice might say: “I was really embarrassed when you were so rude.” The only word Jorge will hear in that entire sentence is rude. That’s because Alice has connected her feelings with a big fat judgment. She’s mixed an “I” message with a “you” message. Just putting “I feel” in front of a judgment doesn’t make it any less of a judgment. If Alice were to confine her comments to a description of Jorge’s behavior, avoiding judgment, she might say: “I really felt embarrassed when you said what you did to Irene.” That’s an effort to describe Jorge’s behavior without judging it. • Tell the Other Person What You Need — Sometimes it’s enough for couples to share their feelings about something that has happened; at other times it is helpful for them to tell the each other what they need in order to avoid conflict in the future. For example, when Peter comes home from work, he finds it really upsetting if the house is all messy. Having an orderly environment helps him feel at ease. He’d really like to come home to a tidy house. But he and his wife have three kids, all under seven years old. I’m upset when the toys are left on the floor. I really need calm and order when I first get home from work. I’m (or “I feel”) _________ [emotion] when _________ [description of behavior or circumstances]. I need _________ [the change you would like to see]. “I” messages do not automatically bring about the result you want. People may still feel upset, hurt, or angry even when you send a good “I” message. Your job is to express your feelings in ways that minimize the risk that the other person will feel the need to react defensively. Their feelings are their own responsibility. If both people send “I” messages, you’ll significantly reduce the risk of a fight, or speed the recovery if you are both upset. 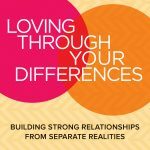 Click Here to Purchase Loving Through Your Differences on Amazon. Excerpted from the book Loving through Your Differences. Copyright ©2019 by James L. Creighton. Printed with permission from New World Library .